Agora Catania Organisers are working hard to make this Agora a true experience of the South-European atmosphere. Will you miss the chance to take part to an Agora where you can eat brioche with gelato while feeling on your skin the marine breeze in a Plenary Room? The AEGEEan: Can you describe us the city of Catania in this moment of the year? And when the Agora takes place? Gabriele Nicotra: The city of Catania, right now, is totally in the summer mood: it’s very hot, tourists in every corner of the city and the beaches are full of people. When the Agora will take place, at the end of September, Catania will be just the same, it feels like our summer never ends! 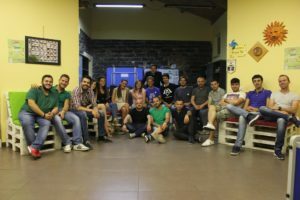 What makes Agora Catania special? 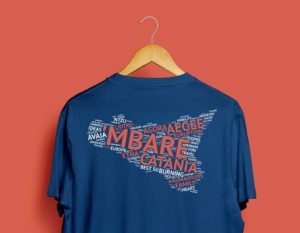 From the inside it is hard to say and to share: all the Agorae in order to take place, need a lot of work through more than one year and I call heroes all those people that were part of an Agora. I guess that what makes our Agora special is that we finally brought this event in a land of passion and creativity like Sicily, but also were dreams are not easy to come true, and if this Agora can bring Catania closer to Europe… Well, this is special for us, this means a lot to us. Which are the main things that still need to be finalised in the next two months? -SPOILER ALERT- Just kidding, not so many actually, we have the agreements for the facility, transports, showers, meals and so on. Right now we are dealing with the “details”, you’ll see in September! How is the atmosphere among the Organising team members? Have you already gathered a group of helpers? AEGEE-Catania always felt to us like a big family and that’s why it works, we are not “colleagues” or members of the same association. We are a Sicilian family (jokes intended)! We are still gathering the group of helpers, as a matter of fact a lot of people want to come on board and that makes us really happy! Can you suggest us a sentence in Sicilian that the participants will need to know to survive in Catania? Sicilian, like every dialect, is full of bad words. What participants really need to know to survive here is ‘mbare, definitely not easy to translate. The closest translation would be: mate, friend, buddy, etc… But actually ‘mbare is more than that! You are well known in the Network for your incredible party spirit, can you tell us something more about the Social Programme? All at due time, on Autumn Agora Catania, we will share a bit of the Social Programme, I can’t say too much now. The Network knows us for our incredible party spirit and to this Network I want to say one thing: have faith in us! Which pre-events or post-events do you know of? We know that there will be, for sure, three pre-events (and no post-events, but stay tuned!) 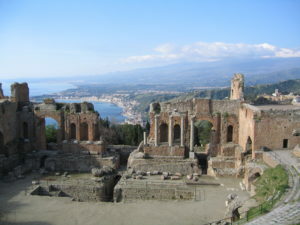 organised by AEGEE-Agrigento, AEGEE-Bergamo and AEGEE-Napoli. And for very different reasons they all have something special. Agrigento will show you what Project Management really is with a great group of trainers, Bergamo will take you around Italy, through a lot of beautiful cities and the final stop will be in the most beautiful one. Then Napoli will amaze the participants with something unique, because two Vulcanoes is mej che one (two vulcanoes are better than one). What are you waiting for, then? Apply! Is there something to eat that participants cannot miss in Catania? When it all started we had a huge task list, that I can’t share with you, but one of the many points is: make the participants very fat… Sorry, happy. You need to taste: arancini, cannoli, panino alla catanese, setteveli, gelato, granita con la brioche, siciliana, caponata, a lot of fresh fish, frappè alla nutella, cartocciata, cornetto alla nutella and last but not least, the king of the Sicilian gourmet… Horse meat! Which will be the hot moments during the Agora? I’m sure of that, the weather will help indeed. We hope that what sadly happened in the previous Agorae won’t happen in ours. 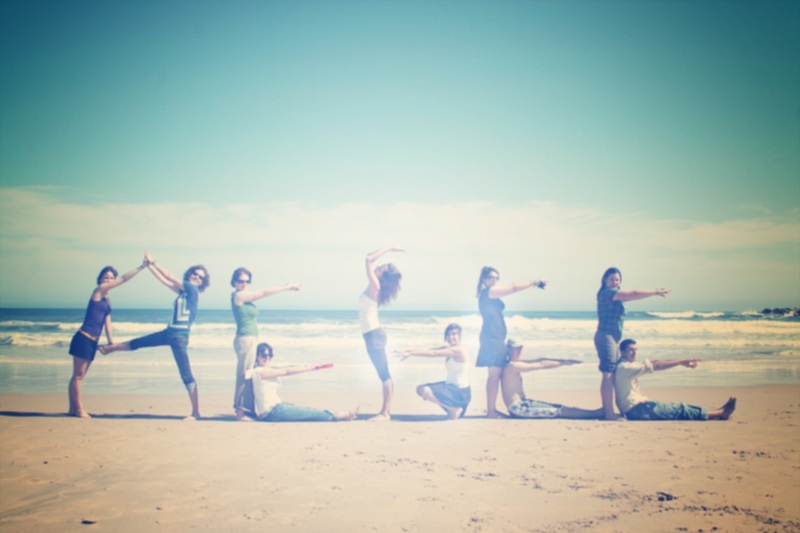 We are people full of passion, love and good vibes and we want our participants to feel our way. This Agora can be more than great just because of you. I think I said enough, but maybe I didn’t say: APPLY! As helper or as participant, as delegate or as visitor, it doesn’t matter. This event will be a blast, for five days we will be the beating and burning heart of Europe… Do you want to miss it? Tu vo peddiri? 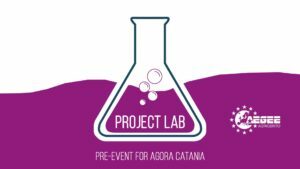 You can apply to Agora Catania as participant here, and as helper here.